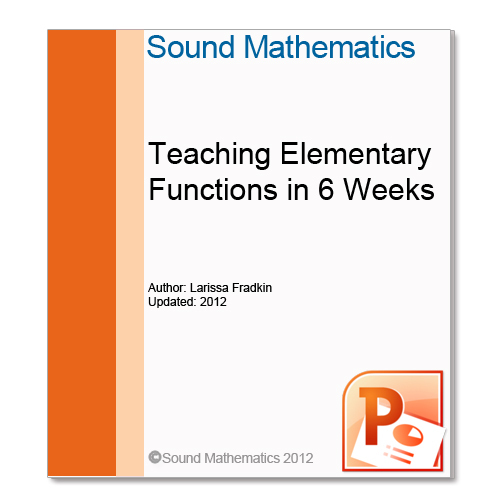 This article suggests ways of teaching elementary functions to STEM college freshers in 6 weeks. 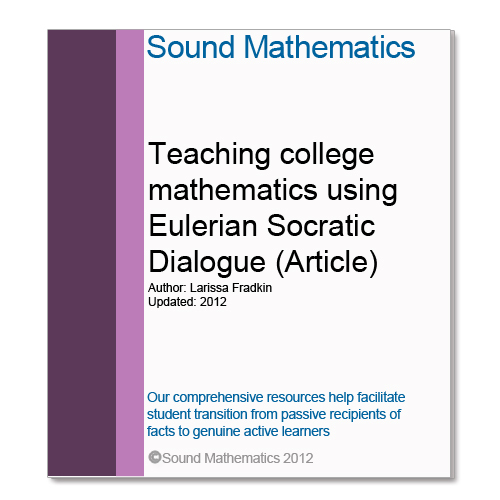 It promotes the approach based on Socratic Dialogue and Eulerian Sequencing. The emphasis is on creating conceptual understanding that leads to more efficient and deeper learning. This article provides suggestions that facilitate teaching elementary algebra to STEM college freshers. It is well recognized that in these days of widening participation undergraduates join science and engineering courses with poorer mathematical background than in the past. It is also widely recognised that in view of that, there is a need for transforming undergraduate STEM education. A large effort is being put by many University tutors into developing additional support, delivering stepping stone classes in maths and promoting project based learning. However, most mathematics teachers covering the basics rely on traditional methods, following school curricula, in particular, when teaching elementary functions. 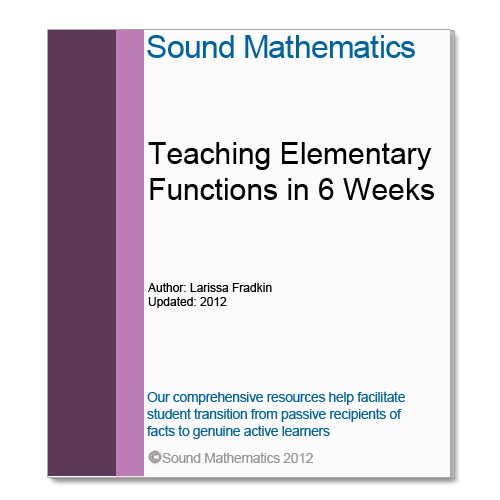 Such methods presuppose that the learners have a good memory and/or considerable time to practice. These suppositions are particularly unrealistic when dealing with large groups of undergraduates who are so-called ordinary learners, that is, have limited mathematics background, limited memory, limited proficiency in explanatory reasoning, limited interest in the subject and on top of that, limited time and limited study skills, all aggravated by a limited contact with teachers. When additional classes are offered to such learners as optional the attendance is usually meagre. There is no evidence either that the project based learning or presenting mathematical concepts “in context” can be beneficial when the task is to teach mathematical basics to a large class of ordinary learners, particularly, when the basics are to be covered in a short time. The paper describes a specific approach to teaching most that an engineering student needs to know about functions – in a very efficient manner. The approach is based on Socratic Dialogue directed at developing freshers’ explanatory skills. The emphasis is on creating conceptual understanding that leads to more efficient and deeper learning. We also report common student misconceptions and suggest how they can be overcome.